The Urban Farmer: Herbs, emotional kick, squash them bugs! 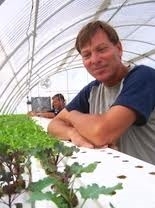 The Urban Farmer, Issue #033 * February, 2011: Hydroponic Herbs * Emotional Benefits of Hydro * Squash them Ole Bugs! Creating an indoor herb garden is quite an easy task as herbs are inexpensive plants that are easy to maintain and are undemanding. 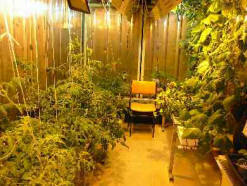 An indoor herb garden makes a great introductory course for any beginner to the art of hydroponics. Depending on their use, herbs can be classified into culinary herbs, medicinal herbs and aromatic herbs. Culinary herbs include basil, rosemary, parsley and oregano. These herbs are used to add spice and flavor to food. Medicinal herbs include plants like echinacea, valerian, hypericum, gingko and garlic that are widely used in medicinal preparations. Most of these plants are not suitable for an indoor herb garden as it is difficult to extract the medicinal parts of the plant. Ornamental herbs are those that are grown to enhance the beauty of homes. You might best start with herbs like oregano, rosemary, garlic chives, mint and thyme. You can either buy these plants at a garden center or can use stem cuttings. Containers are useful for growing herbs at home as these are easy to carry and are convenient for adjusting soil mixtures. These containers are available in different colors, thus creating an added attraction. You can also start an indoor herb garden from seeds. Simply spread the seeds on the top of the soilless media and keep them moist til they sprout. You can have a beautiful indoor herb garden if you follow certain tips. Soilless mixture of vermiculite, peat and perlite ensures proper growth of seeds and seedlings. Keeping pots in the southern or western window ensures proper sunlight and air. Media in the containers and pots should be moist but not damp. Humidity around indoor plants can be increased if they are grouped together. Hydroponics is a soothing, satisfying, stress-dissolving hobby. It's an escape. Put a chair right next to your unit. Tend to your babies, train them up vines and talk to them. Play classical, jazz or new age music for them. Or even hard rock if you want to. Who cares what people think? Hydroponic gardening puts you back in touch with nature in a delightful way. And don't forget the "WOW" factor... your friends and family will hold you in awe for your impressive agricultural achievements. The best way to head off a bug infestation is to catch it early! Grab a magnifying glass, look for any bugs, and pick them off by hand, killing them as you go. Now this method, obviously, is only effective in the early stages of pest-infestation, when there are just a few. But this can be very effective if you do it daily, and stay on top of the situation.